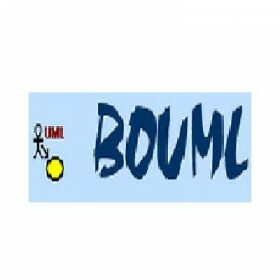 BOUML is a UML diagram designer. Programmed in C++ and Qt, it is multilingual, and supports code generation and code reverse engineering. BOUML is very fast and doesn't require much memory to manage several thousands of classes. Allows users to draw diagrams following the UML 2.0 standard. Compatible with languages: C++, Java, Php, Python, IDL and MySQL. Performs diagram reverse and forward engineering for multiple languages. It is cross-platform, running under Linux/Unix/Solaris, Mac OS X and Windows thanks to Qt. It is very fast compared to other UML modelers.